India has undergone significant social, cultural, demographic and economic change since the year 1991, with the adoption of new economic policy of Liberalization, Privatization and Globalization. Before this, the population was heterogeneous, to a limited extent, but after the LPG policy the migration patterns changed in India. There has been a significant increase in migration to urban areas along with transnational movements, both among males and females. The new destination for them in the process of migration presents the state of transition of the cultures of migrated people. The benefit of migration is the opportunities to develop into both a multi-lingual and intercultural society (only if the process of integration in host countries works efficiently and the policies change periodically). Thus the new set of Diaspora population profile presents us with both new opportunities and challenges. One of the challenges — and an opportunity — is to acknowledge, appreciate and celebrate the cultural heritage unique to each different group while at the same time realizing that this is contributing to a shared collective awareness of Indian identity, which is constantly evolving. Migrants in India, represent some 200 nationalities, and a heterogeneous group. They have different cultures, languages and levels of education. A minority may not have received a basic education prior to arriving in India, while the majority are highly educated, many to post-graduate level. Some may not be working in jobs commensurate with their qualifications and experience. There is need forheterogeneity approaches that see continued cultural differences and highlight local cultural autonomy, cultural resistance to homogenization, cultural clashes and polarization and distinct subjective experiences of globalization. (Robinson, 2007). Thus, in a world that is experiencing rapid changes education has a major role to play in promoting social cohesion and peaceful coexistence, through programs that encourage dialogue between students of different cultures, beliefs and religions. Education can make an important and meaningful contribution to sustainable and tolerant societies. As a minimum, intercultural education requires majorities to learn about the minorities and their cultural and traditions, while minorities must similarly learn about other minorities in the same society as well as about the majorities. (Eide, 1999). Intercultural education, according to the National Council for Curriculum and Assessment (NCCA, 2006), sensitizes the learner to the idea that humans have naturally developed a range of different ways of life, customs and worldviews, and that this breadth of human life enriches all. It is education, which promotes equality and human rights, challenges unfair discrimination, and promotes the values upon which equality is built. Thus, Intercultural Education Strategy aims to ensure that all students experience an education that respects the diversity of values, beliefs, languages and traditions in Indian society and is conducted in a spirit of partnership. Therefore, schools can play a role in the development of an intercultural society when they are assisted with ensuring that inclusion and integration within an intercultural learning environment become the norm. Intercultural education in schools cannot be just a simple ‘add on’ to the regular curriculum. It needs to concern the learning environment as a whole, as well as other dimensions of educational processes, such as school life and decision making, teacher education and capacity building, curricula, languages of instruction, pedagogy, teaching learning materials etc. This can be done through the inclusion of multiple perspectives and voices. The development of inclusive curricula that contain learning about the languages, histories and cultures of non-dominant groups in society is one important example. Fundamental values underlying Intercultural education are respect for human rights and rule of law, intercultural values, and openness to world democracy. In India there already exist diversity in cultures and tradition. Indians are subconsciously more aware about other cultures and this awareness subtly contributes to an understanding about others viewpoint. Indians have by default an implicit compassion for other cultures. Indian schools deal with students from different cultures. Their backgrounds differ in terms of parent’s education, religion, socio-economic status, household and family norm, also they differ in values and attitudes, lifestyles, abilities/disabilities, and ethnicity, in case of urban schools even nationality. Ethnicity or nationality is therefore only one of the factors that make our classrooms diverse and thus influences our student’s culture. But in the existing Indian scenario the contemporary education is at a crossroads and facing multiple challenges related to equity, equality and quality, there is a need to evolve multi-pronged, context-specific strategies for addressing the needs of children from diverse backgrounds. Time and again government policies attempt to address issues related to equity, equality and quality concerns in education. The National Policy on Education, 1968 and the National Policy on Education, 1986 addresses these issues. Both these policies laid special emphasis on removal of disparity and equalize educational opportunity by attending to the specific needs of those who had so far been denied equality. These policies lay special stress upon making education a vehicle of social transformation and empowerment. 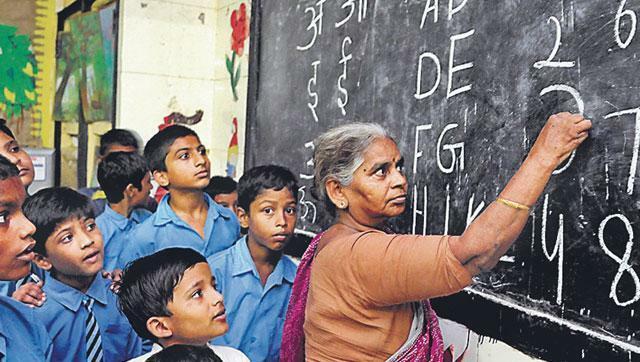 The Right of Children to Free and Compulsory Education Act (RTE), 2009 is another attempt of government to make primary education for all mandatory. To give effect to the recommendations of commissions, policy initiatives and legal provisions have been made by central and state agencies and civil society to provide education to all irrespective of gender, caste, class, faith and location. A plethora of schools run by different agencies, i.e. government, government aided, private and those managed by minority institutions, provide access to children from diverse backgrounds. Several national schemes such as the District Primary Education Programme (DPEP), 1994, Sarva Shiksha Abhiyan (SSA), 2001 and the Rashtriya Madhyamik Shiksha Abhiyan (RMSA), 2010 have worked towards fulfilling the unfinished agenda of education for all at different levels. SSA also developed and implemented innovative training model, for primary school teachers in the tribal areas of Orissa. The model focused on attitudinal training of teachers and their sensitization to tribal language, culture and knowledge systems. Various innovative experiments in school reforms have been taken up by civil society organizations as well as in the government sector in different parts of the country. These experiments have attempted curriculum design, development of teaching-learning methods and materials, and teacher development with child-centered inclusive perspectives. These have shown encouraging results in terms of the learning achievement of children from diverse backgrounds. Indian schools can transform total school environment with the help of pedagogy that aims at achieving equity and equal educational opportunities for all of the nation’s children, including socio-economically disadvantaged and ethnic minorities in the micro cultures. The Activity Based Learning methodology introduced in response to the poor learning levels amongst children and uninteresting classroom processes is a step towards creating inclusive classrooms. The most notable feature of the reform is its focus on changing classrooms, in terms of methodology, the role of teachers, classroom organization and classroom environment as a whole. Although many efforts are made towards making diverse classroom interesting there is a need for preparation of text books, supplementary materials and bridge courses in the mother tongue of the learners for better comprehension of subject. In addition, multilingualism and bilingual approaches needs to be explored. Equity pedagogy also requires teacher to develop an understanding of the different learning styles students develop from their own cultural upbringing so that educators can employ alternative instructional strategies to help all students learn the key concepts, principles, facts, and generalizations in the various content areas and academic disciplines. To be able to do this, teachers will need to develop pedagogical knowledge, skills, and dispositions that allow them to adapt alternative teaching methods or modify instructional strategies in culturally diverse classrooms. School and classroom climates must also be changed so that academic success is achievable by students from all cultural groups. Therefore, dealing with intercultural education requires adequate understanding of the demographics of the students, culture, and race in popular culture, and development of social action skills. It also emphasizes the clearing up of myths and stereotypes associated with gender, age, and the various races and ethnic groups by stressing basic human similarities (Nieto, 1997). Apart from this, Intercultural education promotes developing an awareness of discrimination such as cultural racism, sexism, classism, and other forms of prejudice and discrimination. There have been many demographic changes in India in recent years. The educational policies and programs therefore are reviewed in light of contemporary circumstances. The development of an intercultural education strategy acknowledged these demographic changes, which are reflected in the education system. But alongside the adequate development of learners’ intercultural competence can’t be achieved exclusively through policies and programs. Without teachers’ sensitiveness and understanding of the diverse student community in the classroom students’ progress cannot be achieved. It is clear that professional growth commitment and motivation of teachers is essential. Thus, through the combined effort from institutions and education agencies, teachers can fulfil their responsibilities with a greater confidence. The Schools must create congenial classroom environment that address the emotional make-up of children and encourage them to voice their opinions and feelings without fear of being intimidated. The creation of such an atmosphere would go a long way in strengthening the bonds between teachers, children and the school. Integration of context specific technology in classroom processes and multiple activities conducted in schools would help in skill development of children from diverse origins for self-reliance.